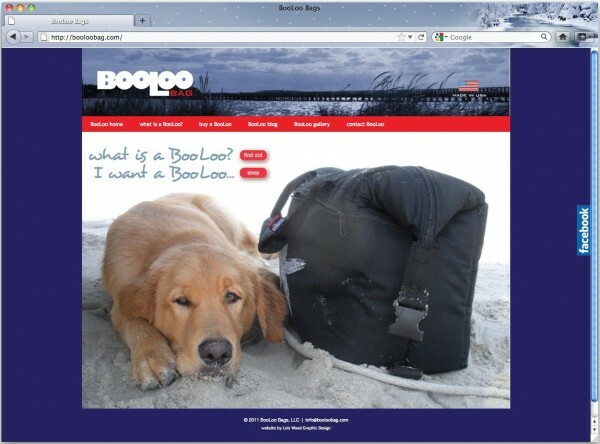 Leslie Greeley is a dynamic entrepreneur who thought of a new idea: sturdy, American-made, soft-sided coolers that were more like a bag... and she called them BooLoo Bags. They're great - sturdy, guaranteed, with great graphics in lots of colors. She had a logo designed by a local graphic designer, but needed all the other pieces: website, business cars, rack cards, and everything. It was great to work with her in getting the word about about these fabulous bags. So far she's got starfish, flip flops, dragonfly, striper, black lab, scallop, sand dollar, lobster, camouflage, lobster, and anchor.